It has been over a year since Teva Pharmaceuticals announced it would be moving from Kansas City to Overland Park. To move their 400 employees across the state line and into a facility that fits their needs, Teva teamed up with Block Real Estate Services (BRES). Sprint sold the 18-acre site to BRES, which was broken into three parcels. 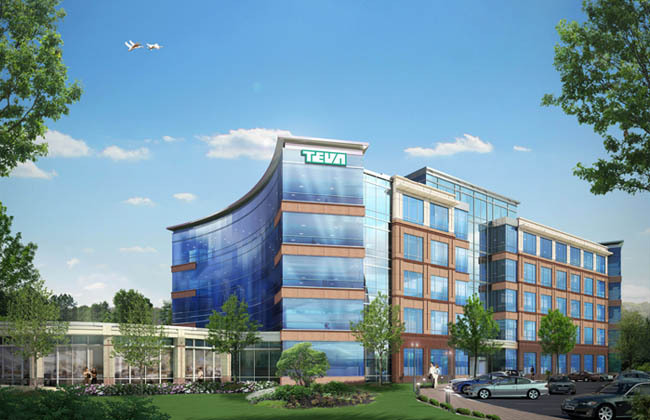 Teva will be taking up two of the parcels with a Class-A office building, sporting a 154,268 gross square foot structure. 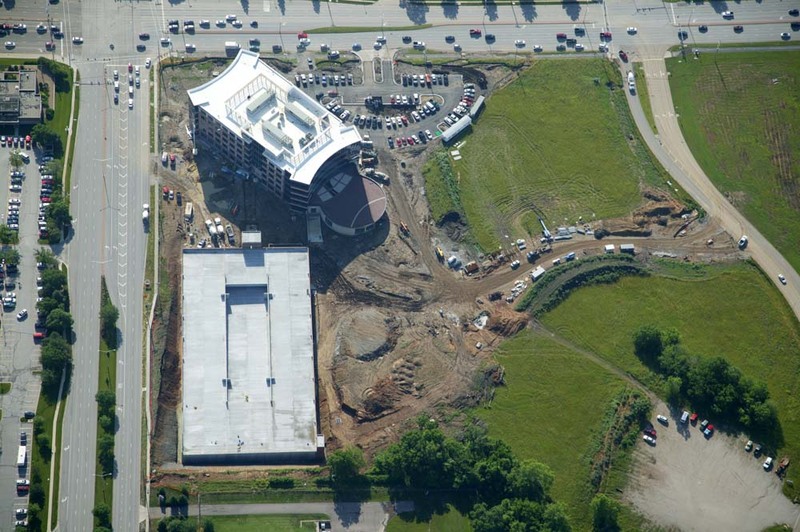 The space on Nall also offers room for growth with space for another 100,000 square foot building. 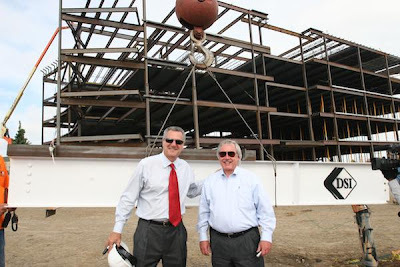 Here, you can see Ken Block, Managing Principal of BRES, and Teva Pharmaceuticals, CEO Larry Downey, celebrate the completion of the steel structure for Teva’s new office building in Overland Park. As the building built up, so did the accolades. The Teva project earned a spot among the Top Deals of 2012 from the Business Journal. Recently, BRES announced the project would be finished ahead of schedule. Putting the $46 million project on a fast track cut the construction schedule to 12 to 13 months. According to the Business Journal, this fast-track made the Teva office another early riser: http://www.bizjournals.com/kansascity/print-edition/2013/06/14/fast-track-makes-teva-hq-another-early.html. Now, the project is nearing completion and move-in for Teva is set for early September. BRES can't wait to roll out the welcome mat for Teva's new home! To stay abreast of all updates leading up to the ribbon cutting, see the progress page on the BRES site. There are lots of things that we might encounter on Property Investment. We have to make sure that we are ready for what is there on the future of our business. Plan well and think of what would be the outcome of our business.